Create stunning folder listings immediately! 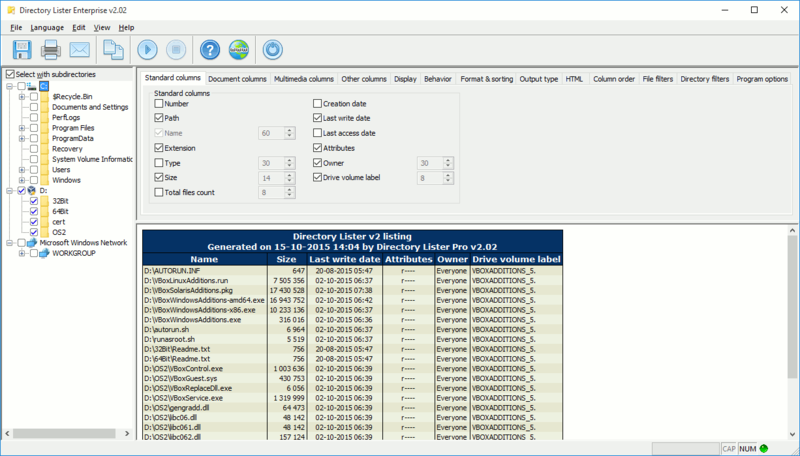 Install Directory Lister and take a 30-day FREE test drive! 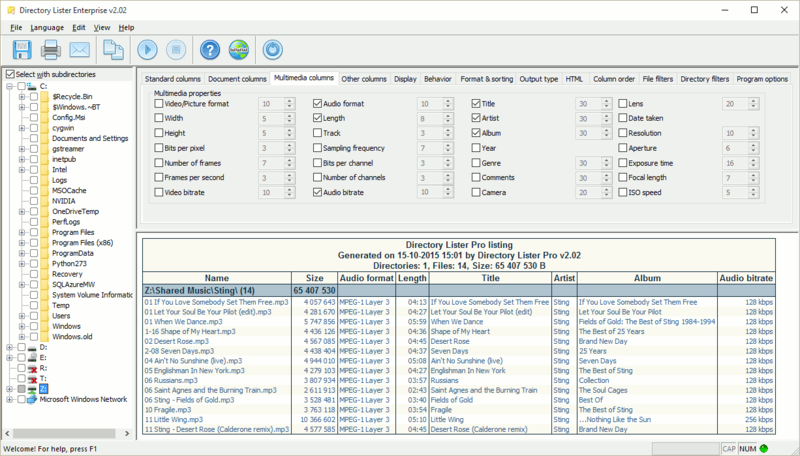 Directory Lister allows you to list & print folder contents, that is to create and then save, print or send via e-mail list of files from selected folders on hard disks, cd-roms, dvd-roms, floppys, USB storages and network shares. 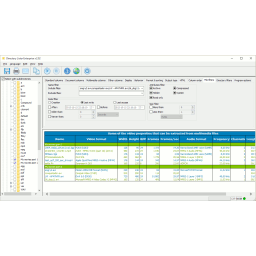 Listing can be in HTML, text, Microsoft Excel, CSV format or stored directly into a database. Another set of columns you can print is for Microsoft Office and Open Office files (DOC, XLS, PPT) so you can see document title, author, keywords etc. without opening these files one after another. For each file and folder it is also possible to obtain its CRC32, MD5, SHA-1, SHA-256, SHA-512 and Whirlpool hash number so you can verify the file has not been modified. I'm very impressed with the program and even more impressed with your speedy, personal response to my question. After reading your response to my query I decided to go ahead and purchase your program. I just finished paying online for the full version. Thanks for a great product and excellent service. You've earned your money. Please excuse the tardiness of this message. I want to thank you for the BEST customer service / support I have ever seen! Your timely answer to my question allowed me to complete my task earlier this week. I have registered and paid for my license. This is a very nice piece of software. Excellent program, by the way. And great customer service, I might add. I just bought and downloaded Directory Lister Pro and ran it over my backup drives - this is exactly what I've been looking for! Awesome. Thank you so much!